It’s important to install and maintain fencing around your pool to ensure people don’t get hurt – especially children. Fortunately, Keble’s Trading offers glass pool fencing in Melbourne that will provide additional protection for ultimate peace of mind while enhancing the aesthetics of any pool. Our glass pool fencing suppliers can provide toughened glass panels in a variety of sizes and thicknesses depending on the shape and size of the pool. We also offer an impressive selection of hinges, gates and latches to make the area even more secure. 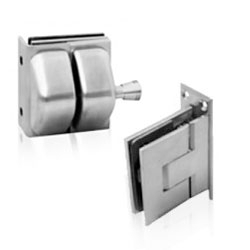 From face mount hinges to latch kits and more, we have no shortage of solutions for you to choose from. Turn to Keble’s Trading for reliable-grade GLASS POOL FENCING. Talk to us! We speak your language! We understand your business. Call us at 1-800-067-687 or fill out the contact us form below. No inquiry is too large or too small. We would love to be of service to you today!